This ship proudly carries the name of the Dutch capital, as well it should. Its state-of-the-art ship technology and artistic design paired with its first class service on board give the ms Amsterdam a royal reputation. 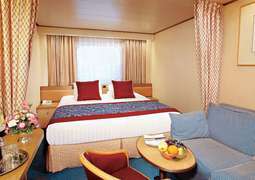 The Holland America Line is known for its elegantly furnished cabins, and the ms Amsterdam is no exception. 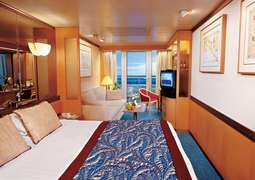 This mid-sized ship offers four different categories of cabins, including inner cabins, cabins with a view of the sea, veranda suites and deluxe veranda suites. Excellent culinary delicacies, such as those found aboard the ms Amsterdam, should be part of every good cruise. You can indulge in these in the La Fontaine dining room or in the à la carte restaurant, Lido. Enjoy a perfect steak in the upscale Pinnacle Grill or delight in cooking courses and shows in the Culinary Arts Center. Other cafés and bars are also available to provide you with drinks and snacks at all times. Experience performances of all kinds on the stage of the Queen’s Show Lounge. The Crow’s Nest offers an enchanting 270° panorama during the day and transforms into an exciting nightclub once the sun goes down. Gourmet presentations in the experimental kitchen will bring you back day after day, and younger passengers ages 3-12 and 13-17 will have only the best care and entertainment. There are many ways to stay active while abord the ms Amsterdam. To work off the culinary specialties found in all the restaurants, feel free to take part in the numerous sport and fitness offerings. 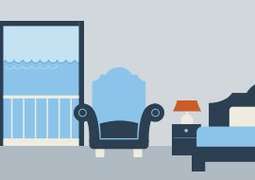 Find refreshment with a dip in the pool or relax with a good book. Digital workshops, sponsored by Windows, are also offered for all those interested in computers. You will find great shopping opportunities even far out at high sea. All from jewelry to clothing to souvenirs to bring home can be found on board. The jewelry boutique is a particular eye-catcher with its timeless and elegant collection. All ships of the Holland America Line display regularly-changing exhibits of different kinds of artwork. Marvel at famous paintings, unpublished works from famous designers and everything in between. 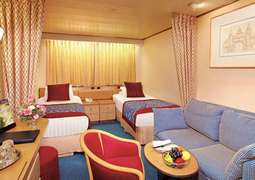 The dress code on board is relatively informal. All are invited to dress comfortably and casually during the day. A sportive, elegant clothing style is advised for most evenings, though two evenings in particular are set aside for formal clothing only, for which women should wear evening gowns and men should wear dark suits or smoking jackets. Internet on board: Wireless hotspot access is available throughout the ship, or internet access is available in the Explorations Café for a fee.